Ms. Kido joined Cades Schutte in 1985. She is a partner in the Finance and Real Estate Department. Her practice areas include real estate acquisition, sales and financing transactions, commercial leases and ground leases, condominium law, and environmental law in the context of real estate and lending transactions. She is also a former member of the firm’s Management Committee and a current member of the firm's Recruiting Committee and Summer Program Committee. She is currently listed as one of Hawaii's Best Lawyers. 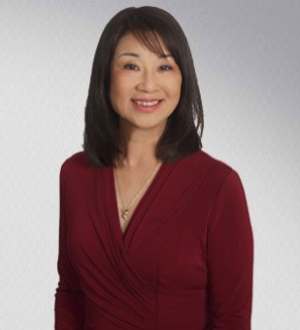 Ms. Kido is a former Chair and current member of the Real Property and Financial Services Section of the Hawaii State Bar Association, and was the editor-in-chief of the 5th Edition Hawaii Conveyance Manual. She is also a member of the Board of Examiners of the State of Hawaii and a fellow of the American College of Mortgage Attorneys. Ms. Kido received her B.A., with distinction, in American Studies and Japanese Language from the University of Hawaii, where she also earned her law degree, was Phi Beta Kappa, Casenotes Editor of the Law Review, and a Finalist in the School's Moot Court Competition.